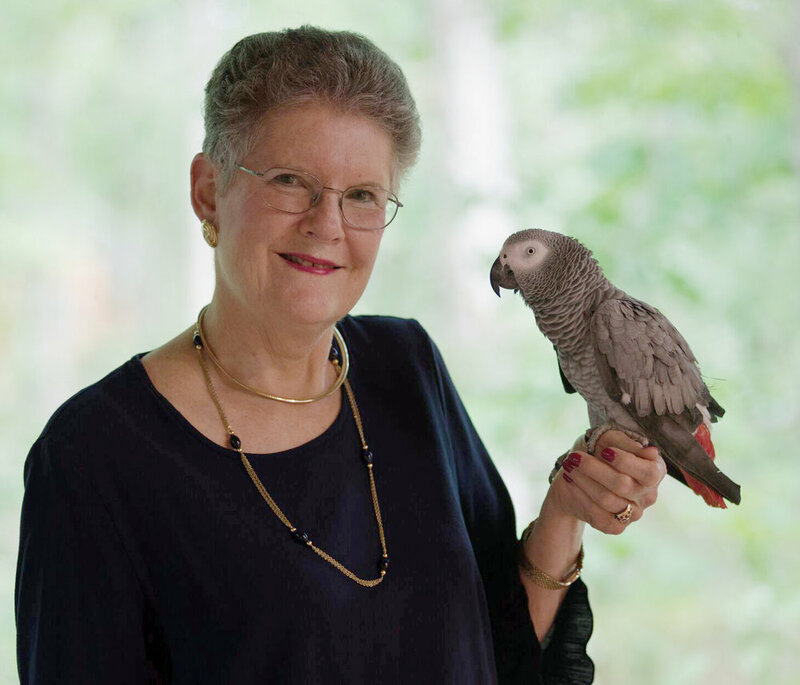 In 2011, Betty Jean Craige retired from the University of Georgia in Athens, Georgia, after thirty-eight happy years. During this time, she published books in the fields of literature, poetry translation (from Spanish), history of ideas, ecology, and art. She curated two museum exhibitions of the art of Alvar Suñol and produced a documentary about him titled Alvar: His Vision and His Art, which won first place in its category in the Indie Gathering Film Festival. Her non-academic books are Conversations with Cosmo: At Home with an African Grey Parrot (2010); three Witherston Murder Mysteries: Downstream (2014), Fairfield's Auction (2016), and Dam Witherston (2017), published by Black Opal Books; and Aldo (2018), a thriller, also published by Black Opal Books. Fairfield's Auction won a first place in the category of Murder and Mayhem in the 2018 Chanticleer International Book Awards. Dam Witherston received Honorable Mention in the Mysteries category of the 2017 Royal Dragonfly Book Awards and Distinguished Favorite in Mystery in the 2018 Independent Press Awards. Aldo is about the consequences—academic and political—to a terrorist's holding a university president for ransom. 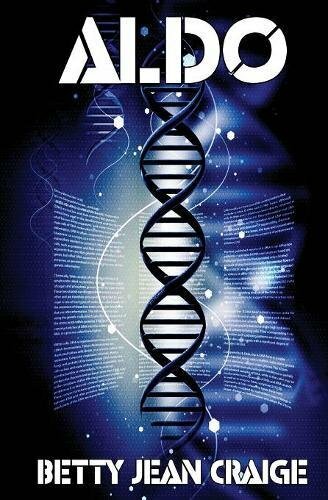 It is also about the controversial science of modifying a human's germline to affect future generations. Here's the situation that sets in motion a chain of events: On the same day that Isabel Canto, associate director of Pembrook Atlantic University's Institute for Genome Modification, discovers she is pregnant with IGM post-doc Frank Marks's baby, Pembrook's president Mary Ellen Mackin receives a letter from "Aldo" threatening harm if she does not dissolve the institute and fire its director, Linus Winter. Linus hopes to use genetic therapy to eliminate Huntington's Disease, for which he has tested positive, and other horrific hereditary disorders from the human population. His grant from the LeClair Foundation, which funds germline gene modification in Europe and the United States, supports Frank. When President Mackin does not comply with the terrorist's demands, she is kidnapped. The novel is also a love story, Isabel and Linus's love story. The story is framed by Isabel's notes to her son Lino on his sixteenth birthday, when he delivers his Papa's eulogy. Isabel has written the "novel" to tell Lino the story of his father, who is not Papa. Lino's father is Frank. Papa is Linus, whom Isabel married a month after Lino's birth and who died sixteen years later from Huntington's Disease. Because of Linus's modification of his own germline, Linus has given Lino a younger sister who is healthy, as will be all her descendants. I wrote Aldo both to entertain readers and also to alert readers to a university's vulnerability to external pressures to discontinue controversial programs. I want readers to contemplate the importance of maintaining freedom of speech and thought in higher education. In writing Aldo and the Witherston mysteries, I came to see that a good murder mystery is a system. Everything is—and should be—connected to everything else. Every paragraph I wrote affected the meaning of the events I had already developed and imposed constraints on what I could develop next. The reader's pleasure comes from seeing the interconnections as well as the whole. I want to give the reader pleasure, stimulate the reader's mind, and make the reader smile. After the Sunday column, "Cosmo Talks," which I had written for two years for our local paper, was discontinued, a novelist-friend encouraged me to write fiction. Having loved mysteries since I read Nancy Drew in my girlhood, I decided to try that genre. I set my first mystery in a fictive town in the north Georgia mountains, twenty miles north of Dahlonega, site of Georgia's gold rush in 1829. In Downstream, which turned out to be the first in a series of four murder mysteries, I created a story that brought together north Georgia's thousand-year-old Cherokee civilization, the white settlers who took their land and gold, and the current residents of Witherston. The second and third mysteries, as well as the forthcoming Chieftains in Witherston, likewise bring together Georgia's past and present. In all my mysteries I provide the reader with information from many places: online conversations, emails, texts, letters, police reports, obituaries, wills, deeds, legal documents, diaries, radio interviews, and news accounts, as well as third-person narration. I don't limit the novel's point of view to one character. Ultimately, the reader knows more about what happened than any single character. I didn't know how much fun I would have. If I had known, I would have started writing mysteries long ago. When I'm writing a book I don't have a schedule. I write every moment I have free. The computer is like a magnet to me. I can't stay away. Write what you want to learn about. And that's what I do. I love steep learning curves. My parrot Cosmo has a Facebook page-- https://www.facebook.com/BettyJeanAthens/--but I don't.